Hello, dear artists! 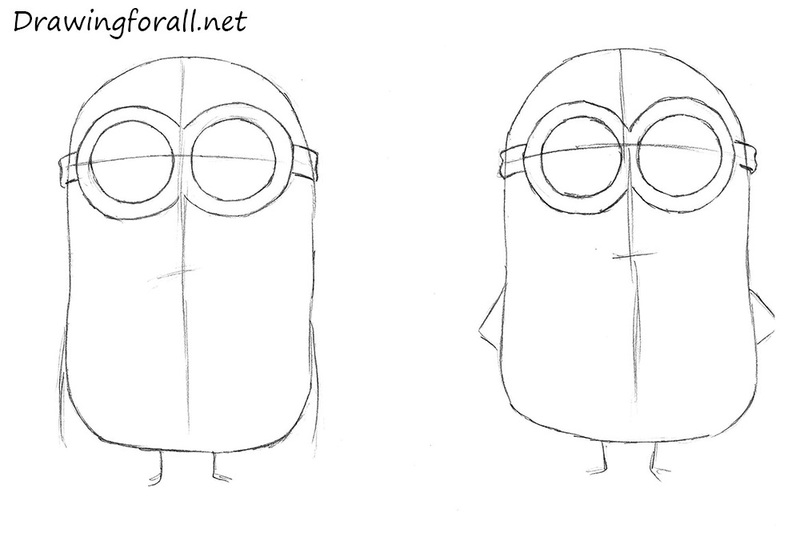 In today’s drawing lesson, we will show you how to draw Minions from Despicable Me. 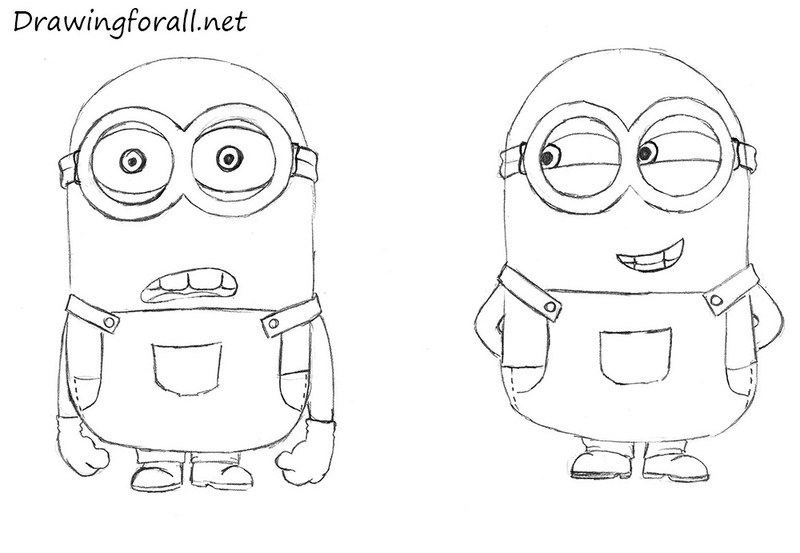 In our site, we already have another lesson on how to make a minion. 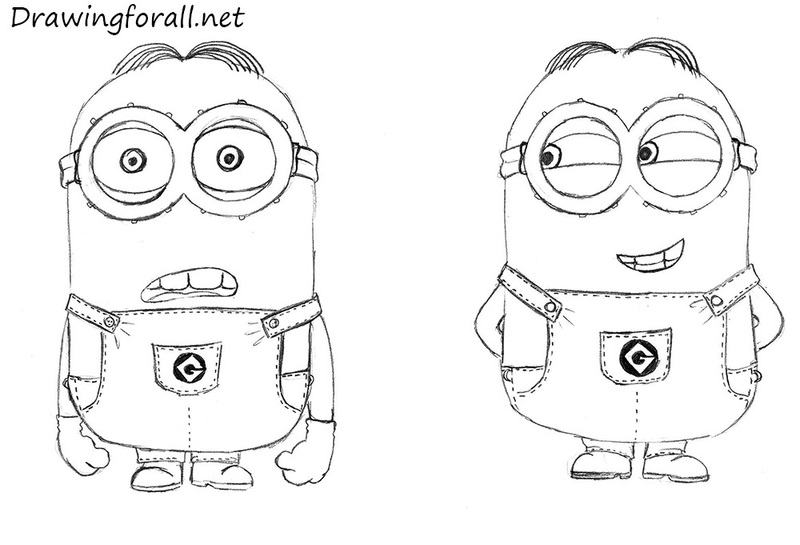 And at this lesson, we will draw two minions. So, let’s start this tutorial! At first draw the general shapes of the bodies. Note, that the shapes are very similar to potatoes. And also it should be noted, that in the first steps you should not press down too hard on a pencil. Ok, now draw the vertical and horizontal lines of facial symmetry of the face. Slightly below the line of the eyes sketch out the line of the mouth. 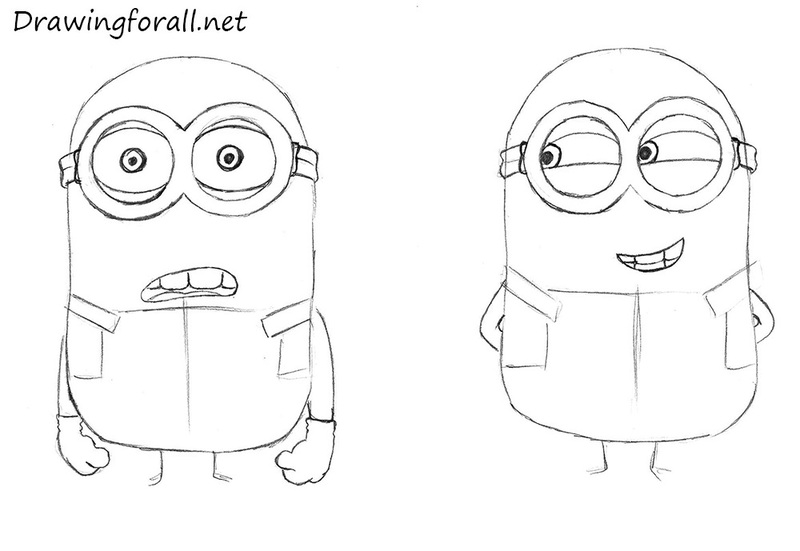 Sketch out the hands and legs of minions. 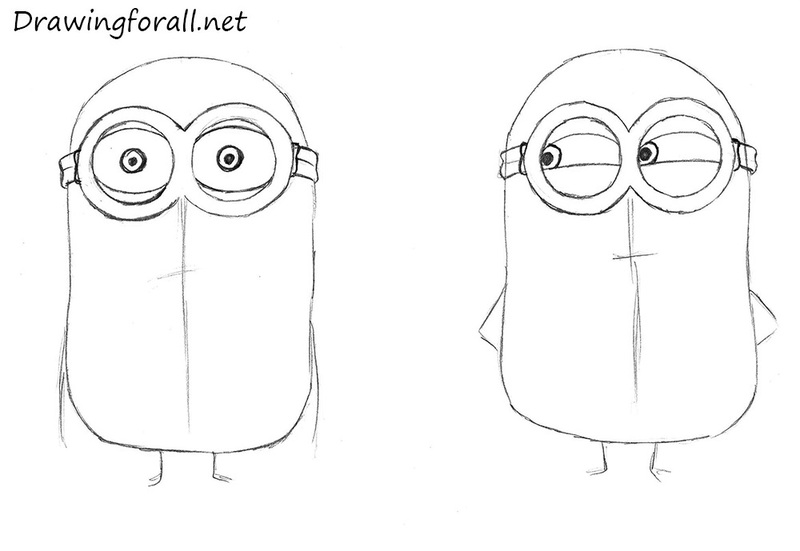 Now, using the horizontal lines draw the eyes of minions. At first draw circles. Then draw the shape, similar to the inverted “8” around the circles. Draw the straps at the sides of the glasses. 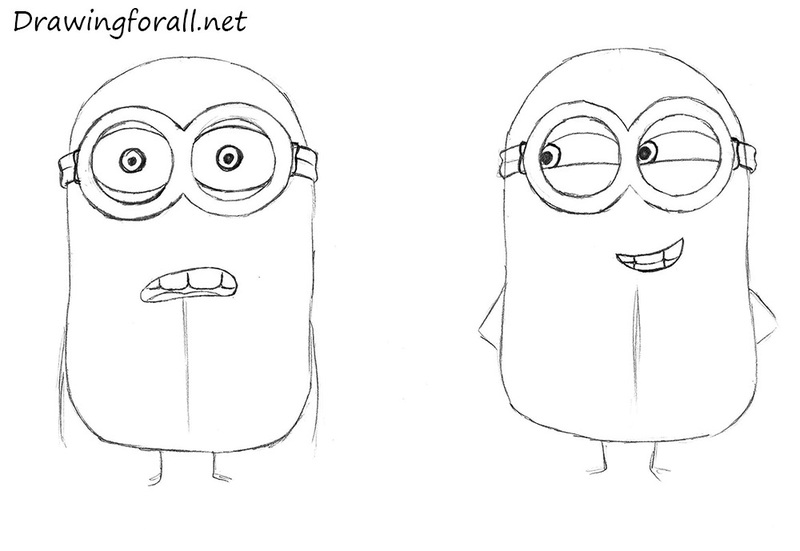 Now draw the eyes in the glasses. At first draw the pupils using circles. 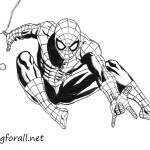 Using curved lines draw the eyelids. Notice how emotions depend on the position of the eyelids. 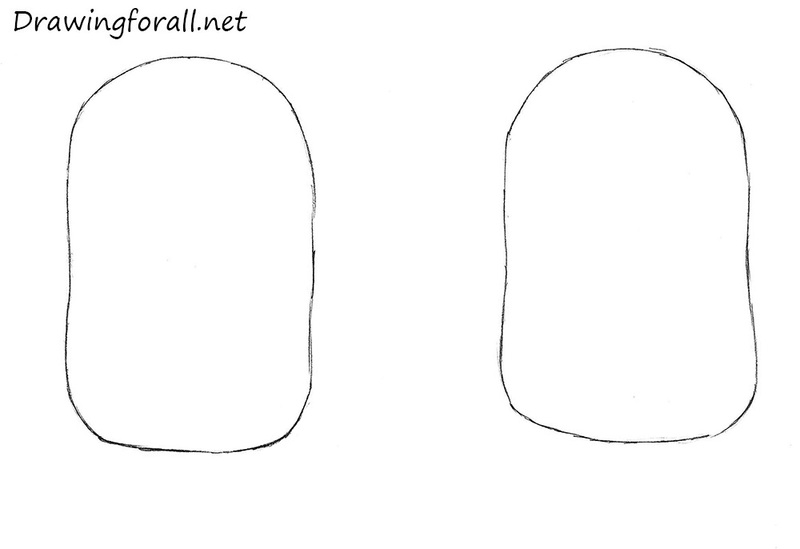 Draw the mouths using the lines from the second step. At first draw the shapes of the mouths using curved lines. Then draw teeth and tongue. Note that the emotions also depend on the position of the mouth. 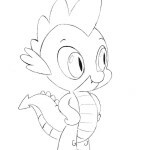 Slightly below the mouth sketch out the lines of the overall. Draw the straps of the overall. 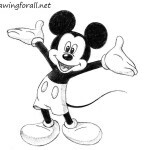 Using the lines from the second step draw the hands. Draw the pockets on the chests. 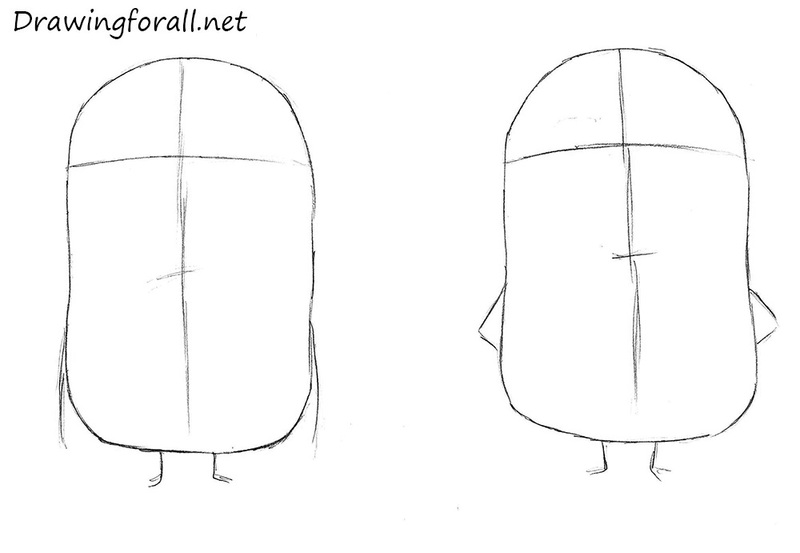 Using the lines from the second step draw the legs and little shoes. Add some folds of fabric to the pants. Add buttons to the straps of overalls. Now let’s add some details. 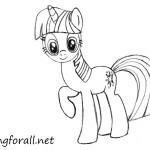 At first using curved lines draw hair. Add the texture around the glasses. Draw letter “G” on the pockets. 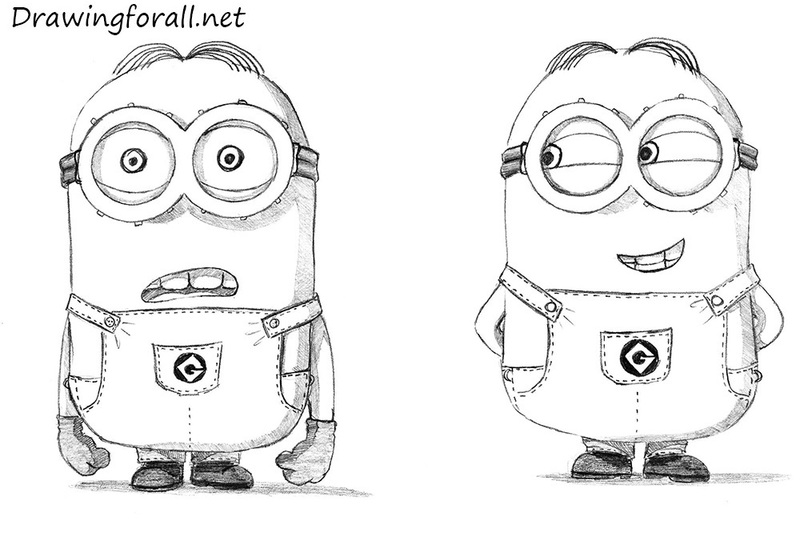 Draw the seams on the overalls. And at the last step we add some shadows. The light comes from the upper left side. So we add shadows to the right sides. At first draw the outlines of the shadows. And then add hatching inside the contours. Paint out the straps and shoes. 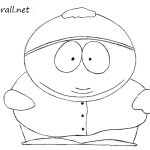 This is very relaxing thnx for this website very easy to use keep this website going .